to the bottom and I can't dig any more I physically have hit "rock bottom"
won't let you dig any further. The bottom is that reddish / brown colored floor in my picture. Hitting "rock bottom"
Z is your depth and is the middle coordinate. 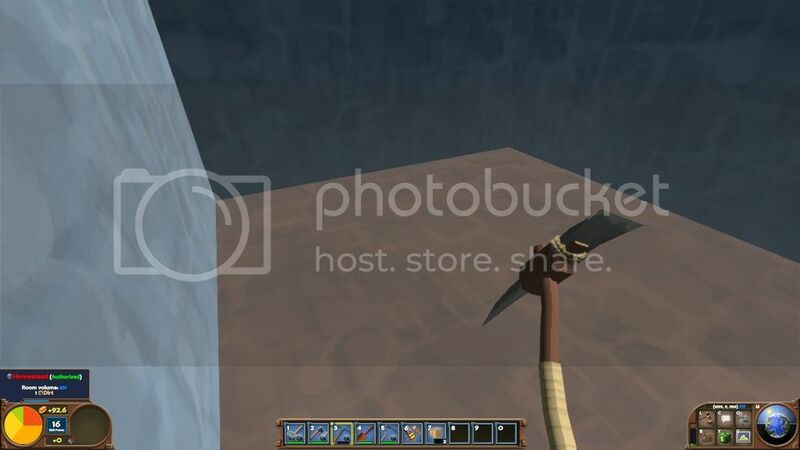 Instead of hollowing out a 5x5 area at bedrock, I did straight down to bedrock. Sometimes /unstuck works, other times you have to make a staircase, or have a partner. You, or your partner if you're stuck and trying not to cheat with /unstuck, will just shovel the tailings in. They act like dirt and drop to the ground, and don't spread as long as the top of your hole is just stone. I've not seen any pollution spread, and my underground house was brick on top of this method of tailing storage. Ya but I wanted to put my Bloomery down there too so I opted to do a proper stair case and dig out the 5x5 or bigger area. Yeah, having your bloomery/furnace in your tailing storage is the best way to 100% avoid pollution from tailings.